Yesterday, we oooh-ed and aaah-ed over a shamrock made of turquoise and diamonds -- and today, we've got a lovely green and gold one to admire! 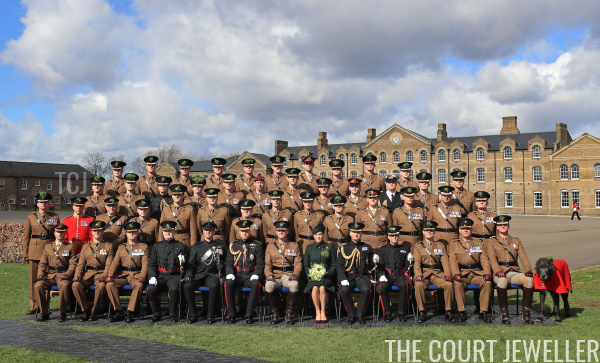 The Duke and Duchess of Cambridge made their annual St. Patrick's Day appearance at Cavalry Barracks in Hounslow on Sunday, visiting the Irish Guards. 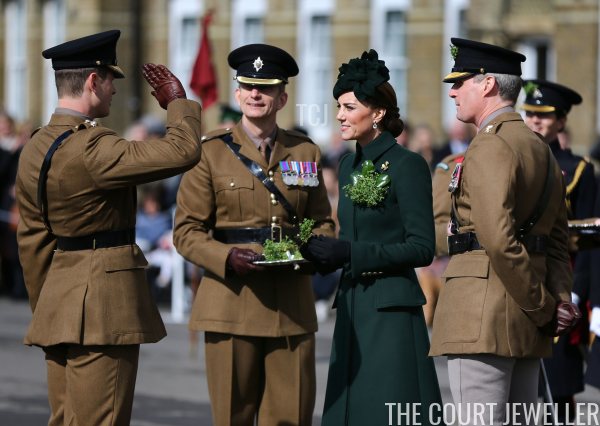 Kate presented shamrocks to the officers and guardsmen of the 1st Battalion, as she has done nearly every St. Patrick's Day since her wedding. 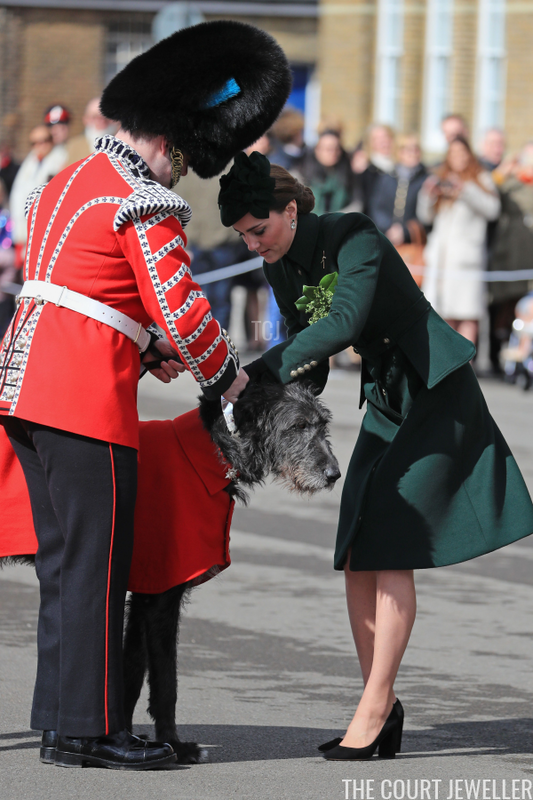 As usual, she even pinned shamrocks on the battalion's mascot, a very distinguished Irish Wolfhound named Domhnall. 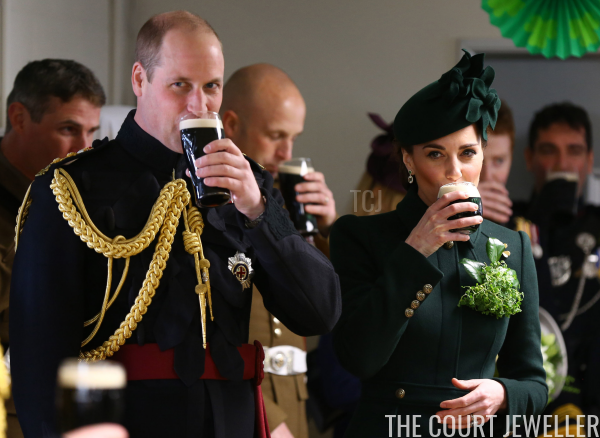 After the St. Patrick's Day parade, William and Kate joined the officers and guardsmen in enjoying a pint of Guinness. 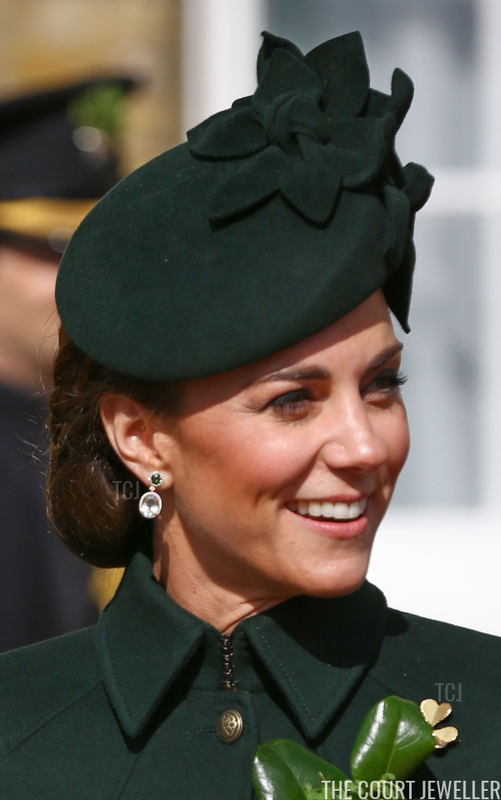 Kate wore the same earrings she chose last year for this occasion: Kiki McDonough earrings set with green amethyst and green tourmaline. The special pair was made for Kate following the birth of Princess Charlotte. 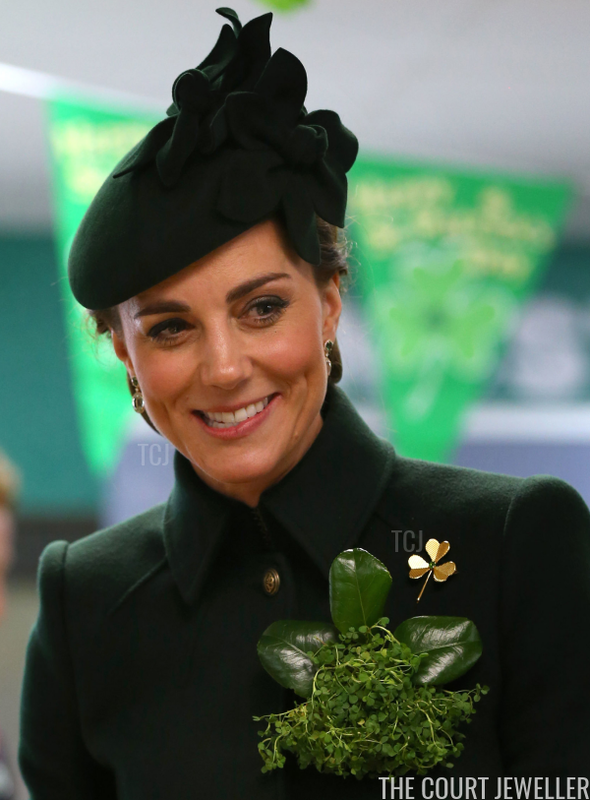 She also wore the Irish Guards Brooch, a lovely gold shamrock with an emerald set in the center of its leaves. 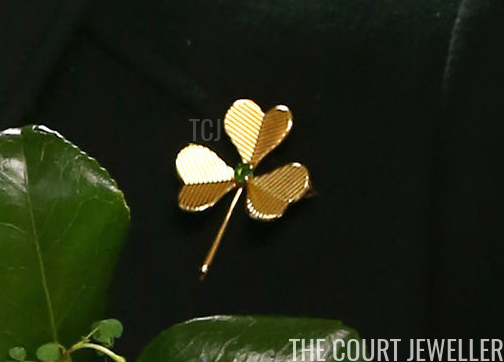 Here's a closer look at the brooch from Sunday's festivities. You can read more about the history of the brooch in our previous post on the piece. 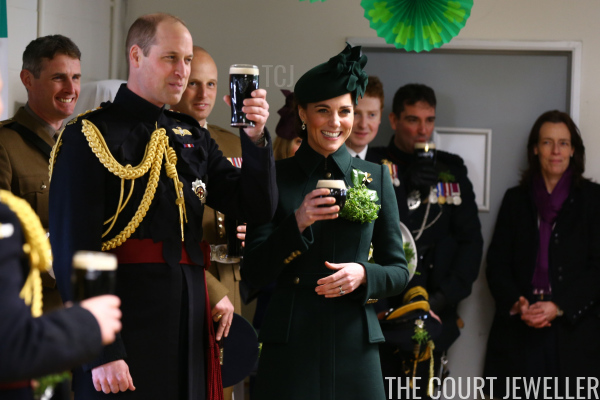 William and Kate are continuing a long royal tradition by handing out shamrocks to the Irish Guards. Queen Alexandra began the tradition in 1901, and since then, several other royal ladies have also presented the shamrocks. Kate follows in the footsteps of not only Queen Alexandra but also Princess Mary, Princess Royal and Countess of Harewood; Queen Elizabeth the Queen Mother; and the current Princess Royal.